"Artefacts and places recount history better than books" - this sentence welcomes you as you arrive at the Jewish Alsatian Museum. Located in the former 19th-century synagogue of Bouxwiller, the museum is unique in its kind. It highlights the culture of Jews in Alsace and recounts their history, telling of everyday life through the ages with their Christian neighbours. 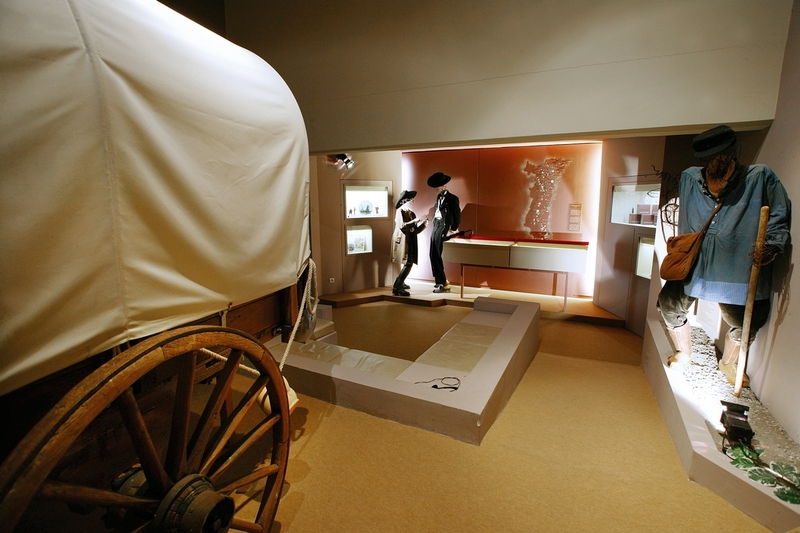 Visitors follow a trail around the museum with its original, varied presentations ranging from the reconstitution of life-size scenes and miniaturised tableaux using new technology. Ceramic models, architectural models, life-size figures, dolls in period costume and video films alternate with antique artefacts, which are all the more rare as much of the Jewish heritage disappeared during the Holocaust. Opening hours: 28 April to 6 September (except 28, 29 and 31 May): Tuesday to Friday: 2-5pm, Sundays and public holidays: 2-6pm. Group visits by appointment throughout the year.